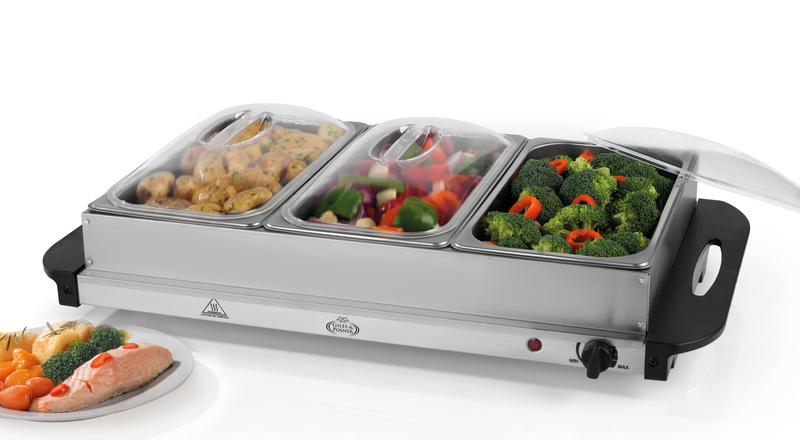 Cook delicious food for your guests and keep it warm for up to three hours with this Giles and Posner buffet server. It has 3 removable 2.1 litre stainless steel trays with lids which allow you to keep dishes separate during serving. The adjustable temperature control and power indicator light make it easy to use, while the cool touch handles enable you to move the server during or after use. 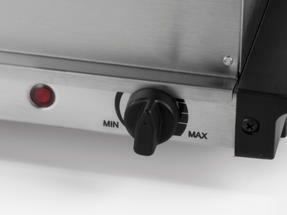 Perfect for parties, this 300W server will suit any setting and is sure to be a hit with your friends. 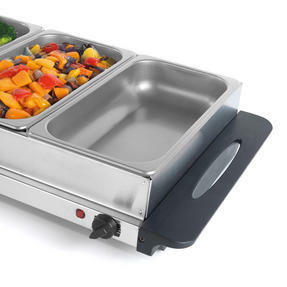 Ideal for buffets, dinner parties and barbeques, this Giles and Posner buffet server tray can keep cooked food warm for up to 3 hours. 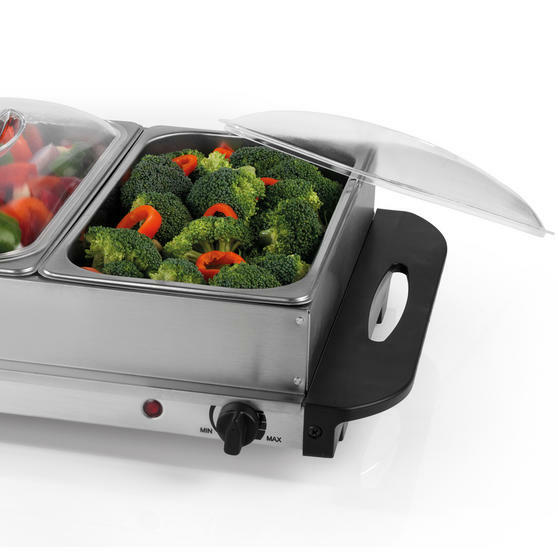 It has three separate 2.1 litre stainless steel serving trays with clear lids, in case one of the pans needs a refill during dinner. Measuring 64l x 37w x 14h cm, the buffet server will easily fit onto most dining tables and can simply be stored away after use. With 300 W power, an adjustable temperature knob and a power indicator light, it is simple to use and easy to control the temperature. The stainless steel housing will look smart in any setting while the cool touch handles allow you to safely move the server during use.